Tiffiny started tattooing at American Tattoo Studio in 2002. After tattooing for over a decade, Tiffiny has taken ownership of the business that has proudly been serving the community and surrounding area for over twenty years. 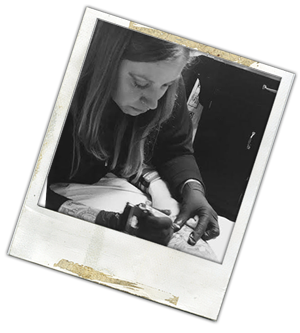 Being intrigued by art and tattoos from an early age, she is easily inspired and is ready to discuss your ideas. Tiffiny will take the time to create the piece you will love to wear! © 2019 American Tattoo Studio All Rights Reserved.